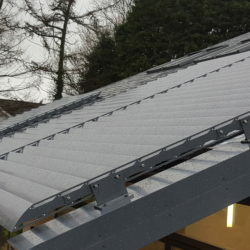 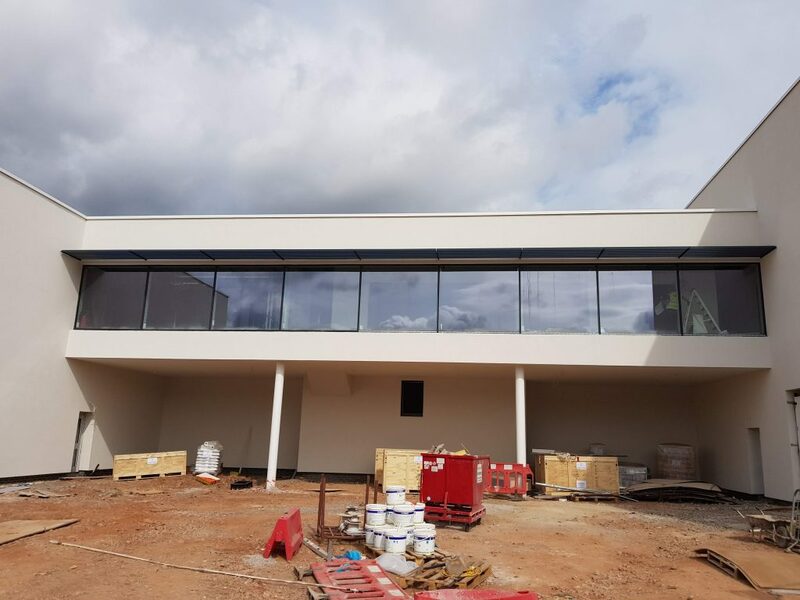 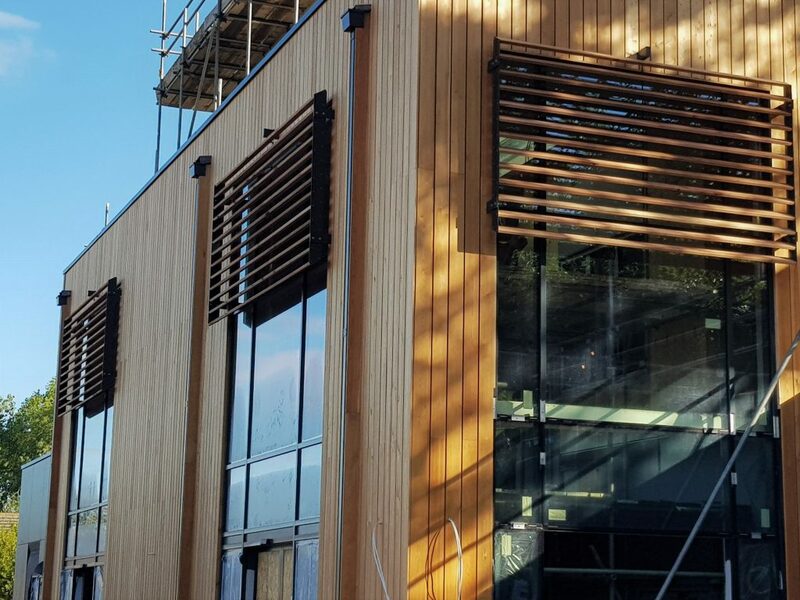 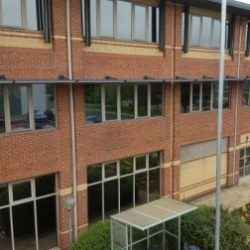 NLC engineers installed this continuous run of solar control panels to shade the windows of the administration offices for a new multi franchise car showroom in Exeter. 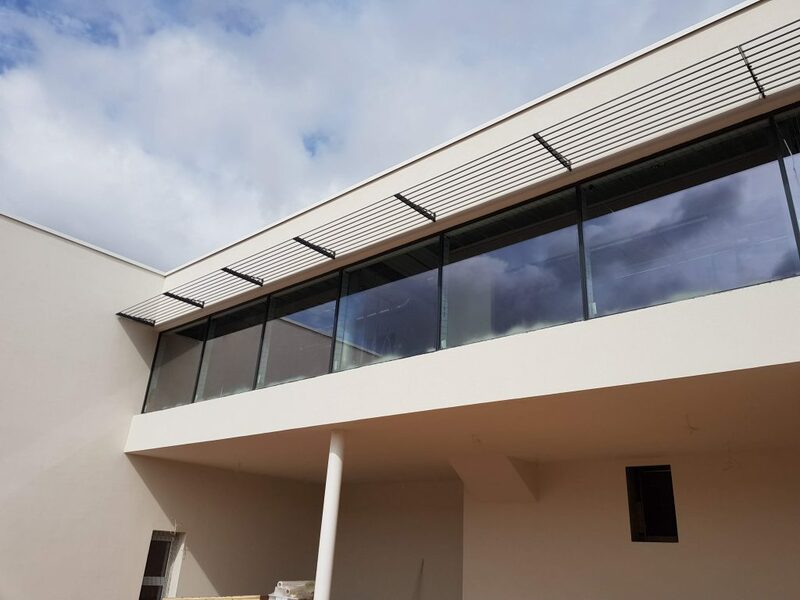 The panels were fabricated using our 120mm elliptical blades fixed to laser profiled aluminium side frames. 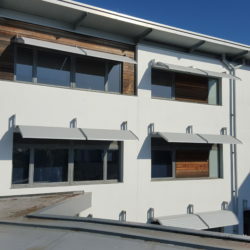 One of NLC latest installations consists of 6 No. 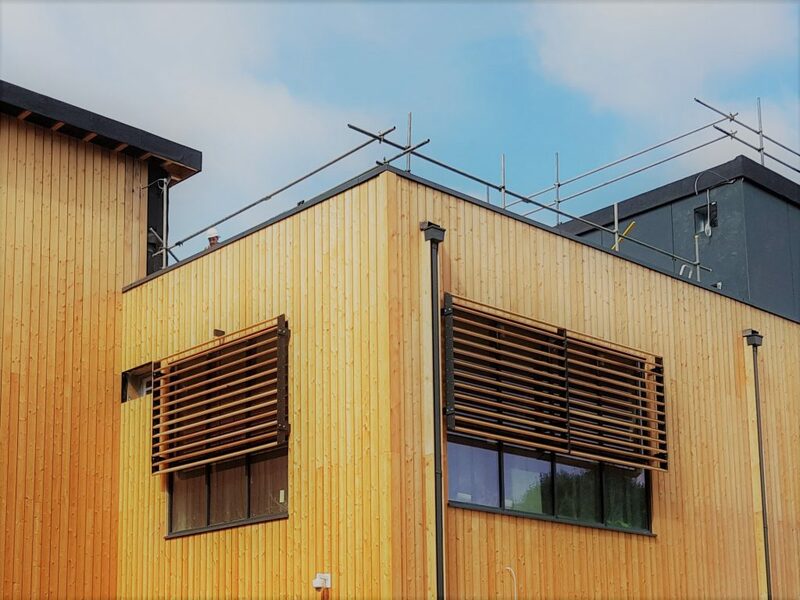 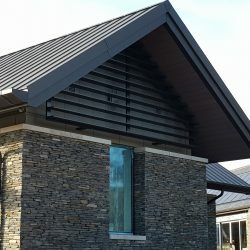 timber blade vertical Brise Soleil panels. 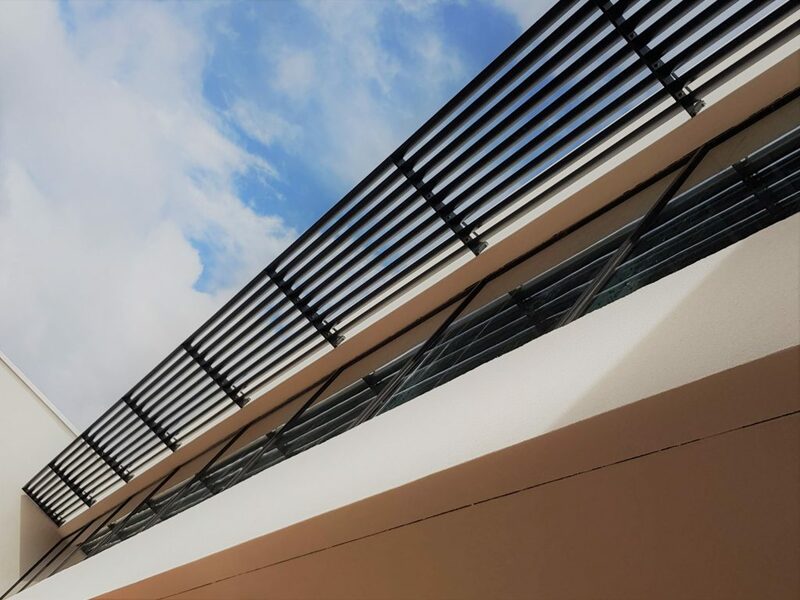 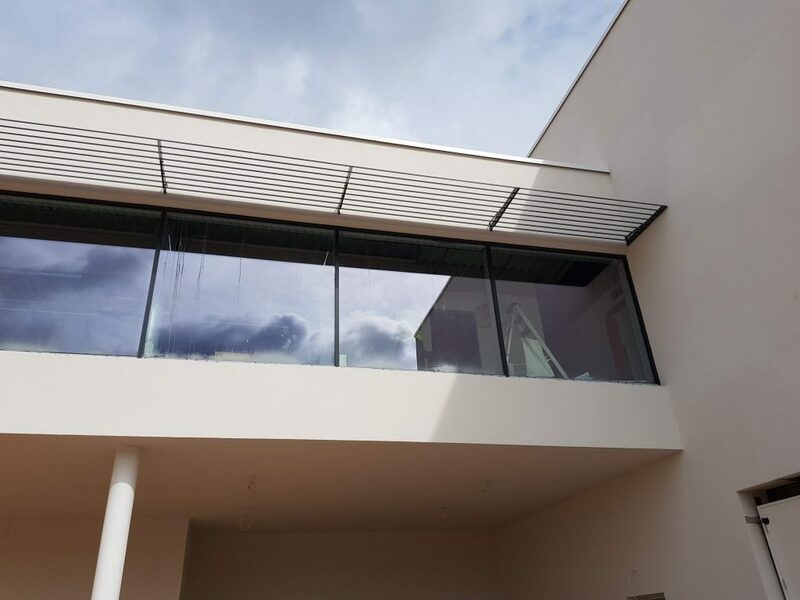 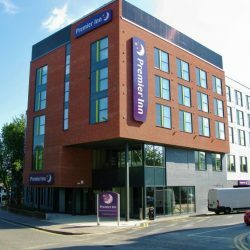 As shown in the photos the brackets were installed before any of the cladding so the majority of the bracket is hidden leaving only a small stub on show. 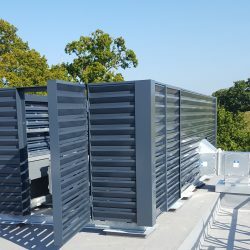 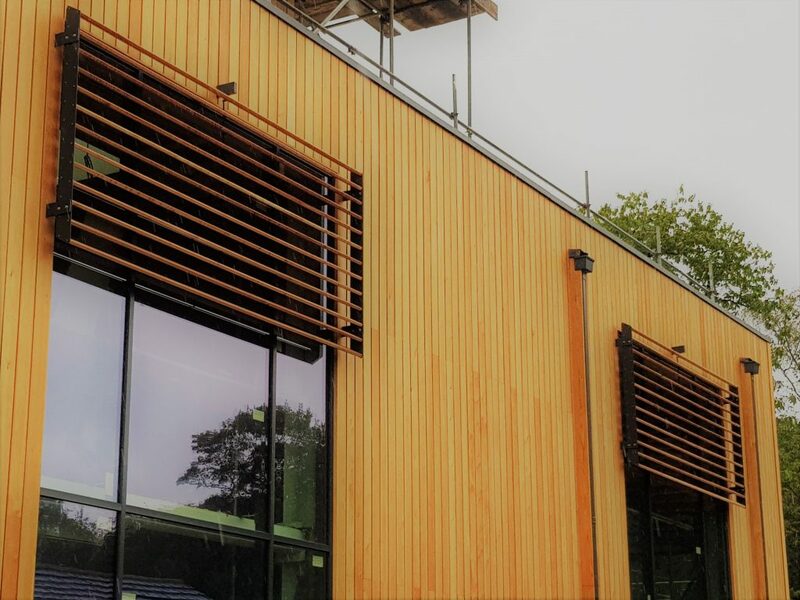 Rectangular Western Red Cedar blades were used in this system with powder coated aluminium supports.